Fro the pistachios and walnuts and put them together with almonds, pine nuts, garlic and nuts in a blender. Blend for a few seconds, depending on the device, but the result are grains of 1-2 mm in diameter. The smoothie obtained add now the wheat germ. 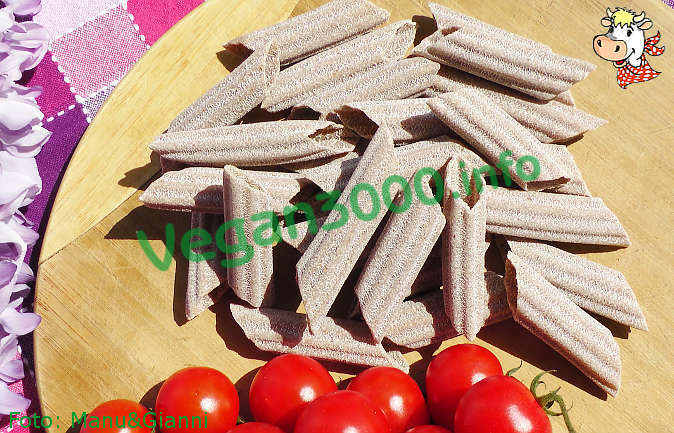 Take the pasta (wholegrain and organic), drain when after cooking and put it in a bowl that has been previously put a bit of extra virgin olive oil. Then turn the dough so that the oil is distributed on spaghetti (or penne rigate, but with spaghetti is fine) and then put the chopped nuts and stir it well so that it is uniformly stuck on pasta. I like too!